Your event registration page plays a critical role in converting website visitors. In addition to increasing event ticket sales, your event registration sets expectations for your audience and defines your event brand as a whole. To maximize its potential, your event registration strategy should include elements of the following examples as well as your own personal take on each approach. Increasing event contacts and session registrations is a high priority task for event marketers. This is why it’s so important to use your landing page to make a great first impression. With tips from this guide, along with real-world examples, we’ll surface event registration landing page best practices and the steps that need to be taken to create high-conversion pages. Most importantly, you’ll be inspired to enhance your marketing and promotional strategy to maximize attendance. 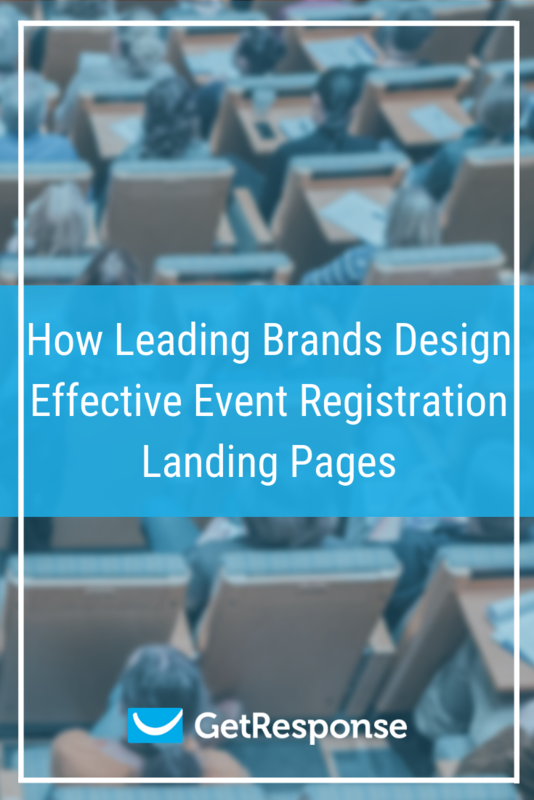 What is an event registration landing page? 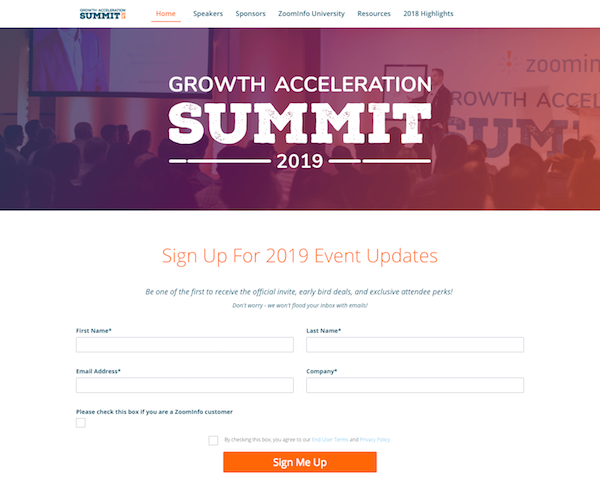 In its most basic iteration, an event registration landing page is a web page dedicated to converting website visitors to event attendees. It is often separate from the homepage of an event website, although a homepage can be constructed to drive conversions by embedding registration widgets. Alongside a registration form, an event registration landing page often contains information about an event and an overview of ticket types to educate potential attendees. It’s good to remember that the number of people who register for your event might not align with the number of people who actually attend. 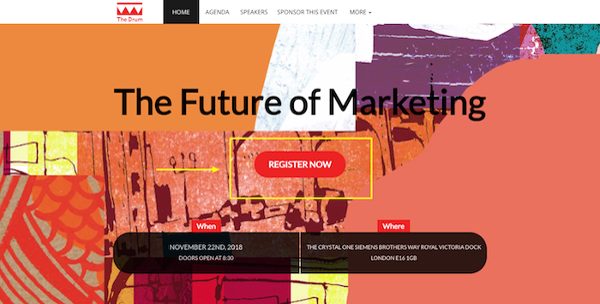 Event registration, therefore, requires marketers to maximize the opportunities for conversions through a landing page that follows marketing best practices. Your audience has a lot of events they can choose from. So how do you show them yours is the best? Follow this example from Money 20/20 and add trust-building indicators like recognizable brands to let visitors know you’re at the top of your field. Adding these references adds credibility to your event and helps it stand out from a sea of copycats. So go ahead and brag. Doing so will more than likely boost landing page conversions. Key Takeaway: Choose your most important affiliation and prominently display it just below the form on your event registration page. 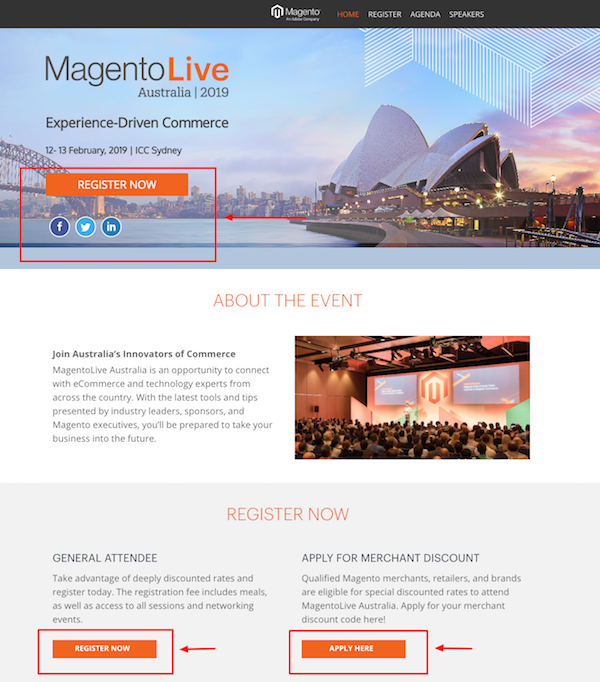 In this example, MagentoLive focuses on an action-oriented landing page UX design. Their site flow streamlines the visitor’s experience by offering them a variety of actions. If the prospect is not ready to register at first glance, they have a few different actions they can take. For instance, a visitor can share the event on social or apply for a merchant discount if they fit the qualifications. Social sharing is an important addition to this registration landing page because potential attendees might be interested in seeing who in their network has plans to go. Meanwhile, the opportunity to apply for a discount might encourage would-be attendees who face budget limitations. Key Takeaway: Create multiple visitor experience tracks by optimizing your landing page flow to enable a variety of user actions. Spotlighting their Standard Pass is a great example of contact segmentation. 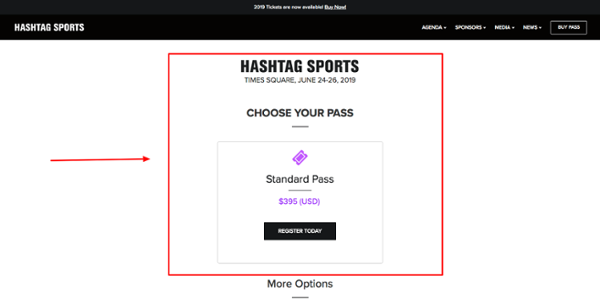 Hashtag Sports gathered information from their event marketing software, carefully analyzed offers being made by their competition, and proved that they clearly understand their attendees and their ticketing preferences. 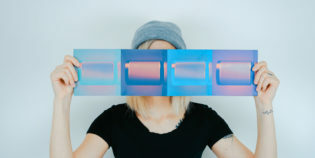 There are more options below the fold that are targeted toward groups and industry insiders, but it’s likely that future prospects won’t even need to scroll and find them. Instead, they’ll simply select this first option since it has been tailor-made for them. Key Takeaway: Streamline your ticketing presentation by showing the most popular option first, keeping it free from the distractions created by other packages. The ABM Innovation Summit has a smart tactic for email list building: offer a coupon. After clicking the orange buttons on either the center of the page or the top right corner, site visitors are prompted to enter their email to reserve their generous coupon. 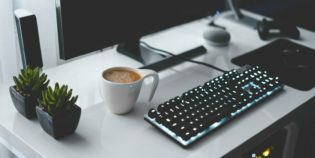 By signing up, they agree to be added to their notifications which could include newsletters, event reminders, and affiliate codes to expand their reach further. The possibilities are endless with this high-value offer and can be applied to any advanced reservation option. 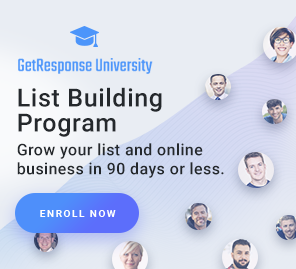 Key Takeaway: Build your email list through reservation pages that allow prospects to receive something valuable in exchange for future communication with your brand. 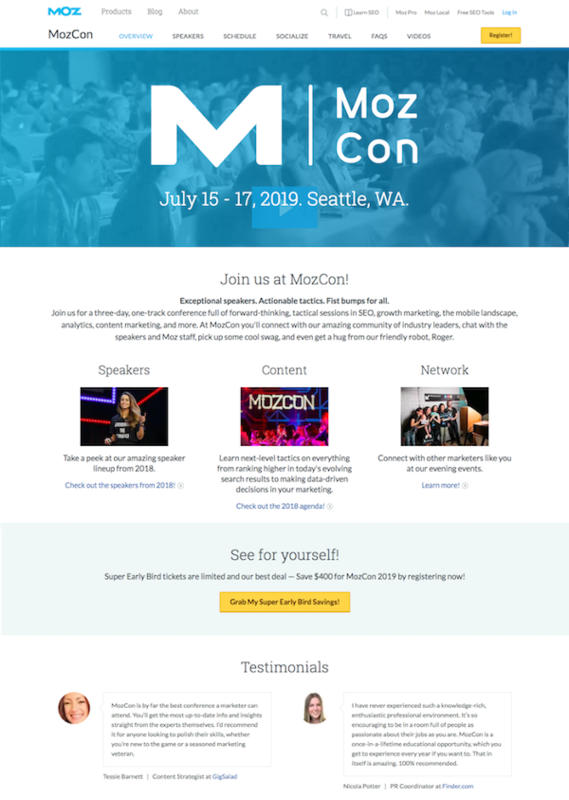 As a whole, this event registration landing page by Moz for their MozCon event is extremely informative and helpful for prospects. Their value proposition is immediately addressed with categories like speakers, content, and network displayed towards the top. Those curious about MozCon can learn, in mere seconds, that attending this event will allow them to gain exclusive educational opportunities from thought leaders, gain actionable insight into their industry, and meet some interesting people while they’re at it. Key Takeaway: Utilize the power of the psychology behind high converting landing pages by making it easy for viewers to see and understand the value of your event at first glance. Showcase these highlights at the top of your event page. Limited time ticketing offers put the pressure on attendees who are already interested in going to your event to fully commit. Early bird, and super early bird ticketing (as you’ll see presented in this example from the UXSG Conference), help event planners gauge their ability to sell-out from the get-go. Their use of bullet point lists makes the offers easy to skim, which makes the decision-making process easy too. Key Takeaway: Test out an early bird option, complete with a full description, on your landing page. Also, if you offer more than one early bird option be sure to keep track of each package with the help of an event registration software or another analytics tool. This event registration landing page showcases the power of simplicity. By displaying a registration form with a limited amount of questions, the process becomes faster and easier for visitors. User-friendly features like this one eliminate friction caused by lengthy questionnaires and unnecessary information that attendees might not be interested in sharing anyway. Optimize your landing page for lead generation with this simple tactic. This page also helps generate contacts for a future event, even though the final event website may not be done. Key Takeaway: Registration forms should be short and to the point. Review yours and pare it down to the bare essentials. If the website for a future event is not yet live, it may be worthwhile to gather contacts from an existing, highly trafficked registration page. Connect Central does a great job of using one of the many critical elements of landing pages that convert; three-pronged pricing. Three-pronged pricing is the addition of two extra pricing options that make the bait offer more attractive. The first ticketing option displayed should be the most basic package. The second is the advanced package. It’s more expensive than the basic, but it adds a lot more value and is, ultimately, the one you’d most like visitors to choose. Finally, your third tier pricing should be your most expensive and include all possible bells and whistles. This more expensive option should interest them enough to get a bite, but be priced so that they’ll lean towards the second package instead. Key Takeaway: Create a three-tiered pricing option for ticketing that entices your future attendees to select the package you’d like them to choose. Sometimes it only takes one simple change to make a landing page convert. In this example, The Drum highlights the importance of finding your ideal CTA button placement. Try adding your registration CTA to the most visible spot on your webpage. Use the surrounding design to guide your user’s eyes to it. Although it doesn’t appear in this instance, it can also help to make your button color that stands out from the rest of your website. Key Takeaway: Drive conversions and incentivize visitors to take immediate action by moving your CTA button to an obvious position on your display. This event registration landing page does a great job of combining dynamic design elements with informative copy. Through the use of simple and clear navigation, potential attendees can view the many policies and procedures necessary for participating in this multi-day concert and camping event. Given its popularity, Coachella has to focus on simplifying what could otherwise be a very complicated experience given the sheer volume of attendance and the details involved in the experience. They are able to pull it off without sacrificing the brand in the process. Key Takeaway: Convert visitors without sacrificing vibrancy by fully displaying registration steps with summaries, descriptions, and all essential information. Simple is always better. Bulleted lists, summaries, and clearly marked steps make the user experience better and the registration process easier. Look at it with fresh eyes. Consider key elements like visitor flow and CTA placement from your visitor’s perspective when making design choices. Have a ticketing strategy. Whether you offer one ticketing option or three, super early bird or standard admission, make the choice obvious for attendees with smart pricing and clever displays. Everyone knows that getting a high percentage of landing page conversions isn’t the easiest thing in the world. Luckily there are many ways to alter your event registration page and maximize its effectiveness. Tips from the above examples will likely serve you now and well into your event planning future.